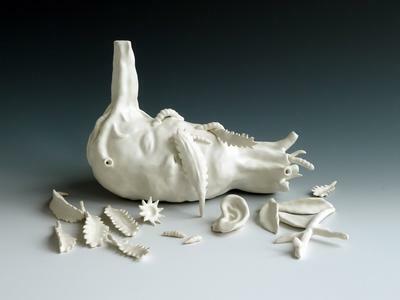 The Woollahra Small Sculpture Prize has opened the call for entries for the 13th annual Prize that will culminate in a free public exhibition of finalist works to be held at the Woollahra Council Chambers from 26 October until 10 November 2013. The Prize awards a total of $13,000 to winning artists in the categories of: The Woollahra Small Sculpture Prize ($10,000, an acquisitive award); The Special Commendation ($2,000, non-acquisitive); and The Viewers’ Choice ($1,000, non-acquisitive). Nick Mitzevich, respected curator and Director of the Art Gallery of South Australia, will judge the 2013 Prize alongside Professor Ian Howard from the College of Fine Arts at the University of New South Wales. The Prize is an acquisitive art award that has seen an impressive collection of past winning works permanently displayed in the Woollahra Council Chambers located in Sydney’s Double Bay. Previous winners of the Prize include Jan King (2002), Mikala Dwyer (2003), Adam Cullen (2008), Alexander Seton (2009) and Archie Moore (2010). Entries close for pre-selection at 5.00pm AEST on Friday 26 July 2013. The finalists will be announced in August 2013 with a free public exhibition to be presented from 26 October until 10 November 2013 at the Woollahra Council Chambers.